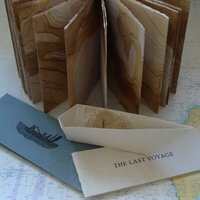 Make several individual books as you get to grips with traditional and contemporary bookbinding methods and discover this satisfying creative process. Create your own sketch or calligraphic books, albums, multi-section bindings and containers, as you learn about paper handling, glueing, sewing, attaching covers and finishing. This course aims to introduce you to ways of making new books that draw upon traditional and contemporary methods and ideas. This will be discovered through the practical experience of making different types of books with the long-term aim that you will then be able to explore further ideas by making your own personal books to suit your needs and interests. You will learn by making a number of books from scratch, by using a range of processes and methods of working. This will build up your own experience and knowledge so that you can develop skills using readily available tools and materials. Individual interests and ideas will be considered so that your own work can evolve. • Working with paper; both machine-made and handmade. • Presentation of the finished book. More detailed processes can be explored with those who already have some experience of bookbinding. Demonstrations provide a starting point, as a springboard for your own developing work. Design, aesthetics and methods fit for purpose will be discussed and examples examined. It will be possible to make a range of books, including sketch books, albums, containers, pamphlets and envelopes, multi-section bindings; what you'll make will be discussed with the tutor. Please bring anything that you wish to consider making into a book - e.g. sketches, prints, photographs. Your own material to use e.g. 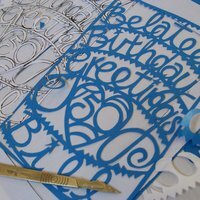 calligraphy, pictures, prints, collections and ideas, handmade papers and decorated papers. 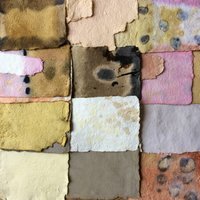 Plain, coloured and decorative papers, including hand-made from Khadi papers, and layout paper. 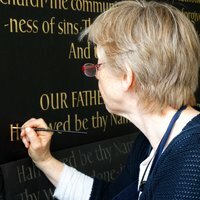 Please note that this course will not cover leather binding or restoration work, if this is your interest, please book a place on one of our alternative bookbinding courses.